Mont Blanc is the highest mountain in Europe with year-round snow at its summit. 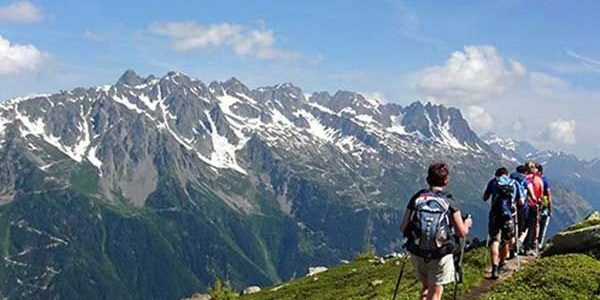 The trail to hike around the mountain starts in Chamonix, France and proceeds down to Courmayeur, Italy, then up through Switzerland, returning to Chamonix. Distance is about 100 miles and it normally is hiked in about 12 days. The three culture Hike is all about flexibility. 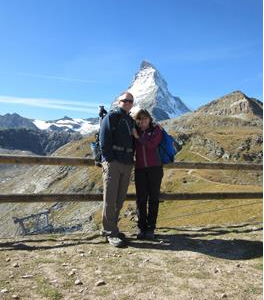 This trip can start near Zurich in Wengen or in Chamonix France which is near Geneva. Lets review the different stops. Verbier and Zermatt are (French), Wengen (German), and Courmayeur (Italian) and just for fun Chamonix (French) for your last few days. 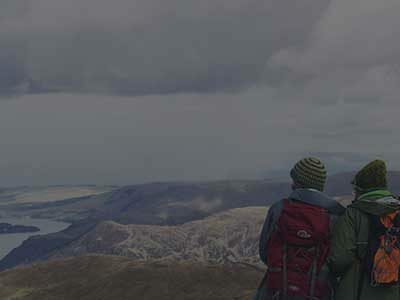 It is also noteworthy that this trip isn’t about hiking long distances across open tundra but instead spectacular day hikes and small overnight hikes to quaint mountain lodges with breathtaking interesting vistas. We have attempted to put together the essence of the Swiss and French Alps experience without the long (and sometimes boring or very physically challenging) sections between these historically important villages and their surroundings. 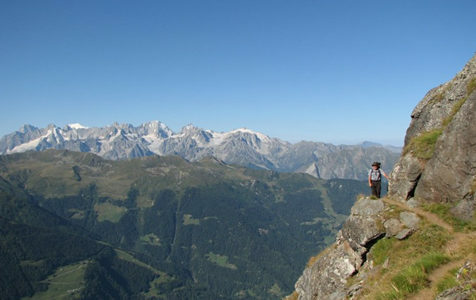 We can craft either 4, 7, 12 or 18 day excursions to suit your interests and hiking challenge desires. Any concerns are certainly tiny in comparison to the amount of pure pleasure and enjoyment we got from the trip and all in all the TMB is fabulous and I would certainly do it again. Both my daughter and I LOVE it. I really wanted to get back to Chamonix before the rain set in because I wanted to go up the Aiguille du Midi which I did. WOW!, thank you for the suggestion.